San Diego Divorce Attorney and Certified Family Law Specialist, Sarah T. Schaffer, CFLS, is skilled at understanding complex legal problems and developing effective strategies for resolving them. If you are seeking an experienced San Diego family law attorney to represent you in a family law matter, custody or visitation matter, divorce mediation, a ‘typical’ divorce, or a high profile ~ high net worth divorce, seriously consider Sarah Schaffer. Likewise, if you are seeking competent help to create a workable solution to a complex property division challenge, make an appointment with Sarah. Ms Schaffer has the law and finance degrees, advanced training and years of hands-on experience that result in measurable benefits to her clients. Need expert legal representation to help you with your annulment, legal separation, child custody matter, visitation, child support, spousal support, or modifications of support order? If so, San Diego divorce attorney, Sarah T. Schaffer, CFLS offers you the solid experience and proven record of success you can count on. When faced with divorce it is extremely important that your attorney has proven skills and expertise in your family law issues. Sarah T. Schaffer is a Certified Family Law Specialist – a recognized expert in divorce, asset division and other family law matters. 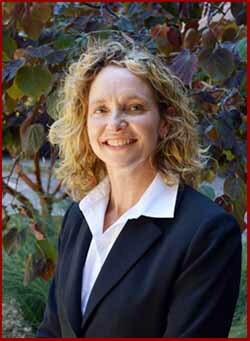 Certified Family Law Specialist – Because attorney Schaffer has attained BOTH the coveted “Certified Family Law Specialist” designation and received her LL.M. in taxation, high profile couples who might be seeking discretion from the media and public scrutiny –or– high net worth couples with complex property division issues looking to find workable solutions, can find prudent personal guidance, creative solutions. Moreover, San Diego Divorce Attorney Schaffer’s tax expertise helps you take full advantage of any favorable tax options when property and assets are liquidated and divided. Complex Property Division – High asset clients that have complicated property division challenges because of a family-owned business, a spouse’s profession (e.g. Law, CPA, doctor, engineer, architect, etc. ), numerous properties, stock options, retirement accounts, and other complicated property division issues will find themselves well cared by Ms. Schaffer and her team. She will work with you to find creative alternatives that work for both spouses while keeping a keen eye on the tax consequences/savings that can benefit both parties going forward. At the Law Offices of Sarah T. Schaffer, APC, complex property division is more the rule than the exception. Mediation May Work For You. Why is it Valuable to Retain a CERTIFIED FAMILY LAW SPECIALIST? While many family law attorneys are good lawyers and qualified litigators, clients who hire a Certified Family Law Specialist know that they are hiring an expert in divorce and related family law matters. Many attorneys practice in multiple areas of law and by being a general practice lawyer, they simply cannot be well versed in the intricacies of divorce, complex property division and other family law matters. Although there are approximately 200,000 lawyers in California, there are only about 1,100 “Certified Family Law Specialists” in the entire state. Known and respected for her honesty, integrity and ethics, San Diego Divorce Attorney Sarah T. Schaffer will not advise you to take a case to trial if it can be fairly resolved simply and inexpensively outside of the courtroom. On the other hand, if your case involves an issue that demands litigation, you can depend on her to aggressively fight for your rights. Ms. Schaffer and her team will study, analyze and evaluate every possible alternative and then explain your options and the advantages and disadvantages of each. Based on her legal experience and knowledge, she will outline your various options, but you will decide how you would like us to proceed. We are here to serve you and to help you resolve critical life issues for the best possible resolution.